Need A Mortgage Now? Bring Loads of Cash! just to land a loan. NEW YORK (CNNMoney.com) — Are you ready to buy a house in this crazy market? Better bring a boatload of money to the closing. In a brutal real estate market where all the players want to hedge against the tremendous risks, down payment requirements and up-front fees have soared, shutting many potential home buyers out of the market. That’s happening all over the country, and may slow the housing market’s recovery. Indeed, in a Realtor.com survey released today, potential home buyers said high down payments were the second biggest obstacle, after high home prices, to buying a home. These days, home buyers almost always have to make a substantial down payment, at least 5%, according to Rich Wordman, president of the Florida Association of Mortgage Brokers. The days of no-down loans are over. In deeply declining markets, lenders are reluctant to issue loans unless borrowers put at least 10% down, he said. JP Morgan Chase (JPM, Fortune 500), for instance, now asks for a minimum of 10% down in most markets, according to a spokesman, and for 20% in hard-hit areas. In Reno, Nevada, which has been devastated by the housing crisis, the bank requires 25%. For expensive homes, the down payments are disproportionately more. Lenders issuing jumbo loans, which are too pricey to be sold to Fannie Mae (FNM, Fortune 500) or Freddie Mac (FRE, Fortune 500) in the secondary market, are asking for at least 20% down, according to Ed Craine, a San Francisco mortgage broker. In the most expensive markets, where jumbo loans are over $729,000, that means a minimum down payment of $148,500. Higher interest rates on jumbo loans are also making them more expensive than they normally would be – with interest rates a full point to a point and a half higher than non-jumbo loans, said Mike Tacconi, a mortgage advisor with lender CMG Mortgage Services based in San Ramone, Calif.
And buyers purchasing homes for investment purposes are getting clobbered. Lenders are telling them to come up with at least 25% of the purchase price, according to Tacconi – and sometimes as much as 35%, depending on the kind of loan. Those high down payments are being driven in part by the private mortgage insurance companies, according to Jay Brinkman, chief economist for the Mortgage Bankers Association, which have themselves hiked their down payment requirements. These firms insure loans when borrowers put less than 20% down, making lenders whole when homeowners default. In the past, these companies, such as MGIC Investment Corp (MTG). and PMI Group (PMI), often guaranteed mortgages when borrowers put no money down. Today they require 5%, 10% in steeply declining markets, according to Jeff Lubar, spokesman for the trade association Mortgage Insurance Companies of America. In addition, private mortgage insurers are also charging higher insurance rates. Historically, PMI cost about 0.5% of a home’s purchase price. Now, a borrower putting 5% down can pay about 0.75% for the first year. And although interest rates are relatively low, industry experts say that they’re higher than they should be, thanks to concerns about the solvency of Freddie and Fannie, which buy about half of all outstanding mortgages in the U.S. The average 30-year, fixed-rate loan carried a 6.37% interest rate last week, according to Freddie Mac, up nearly a point from the year’s low of 5.48% set last January and up from under 6% in late May. At the same time, yields on 10-year treasuries, which mortgage rates usually track, have trended down. From June 12 to July 10, 10-year treasuries fell from 4.20% to 3.81%, while mortgage rates actually increased, inching up from 6.32% to 6.37%. Borrowers are probably paying at least a half point more than they ordinarily would, according to Keith Gumbinger of HSH Associates, a publisher of loan information. That’s because the questions surrounding the future of Fannie and Freddie have made the investors who buy their loans – hedge funds, pension funds, and banks – wary. They’re demanding higher interest rates to take on the added risk they perceive. Freddie and Fannie have also imposing higher up-front fees for riskier borrowers, based on credit scores. As of June 1, buyers with scores of less than 620 with less than a 30% down payment must pay a fee of 2.75% of mortgage principal, up from 2%. Between a 620 and 640 credit score, borrowers pay 2.5% (up from 1.75%); 640 to 660, 1.75% (1.25%); 660 to 680, 1.25% (0.75%); and 680 to 720, 0.5% (0). “The fees are costing consumers a considerable amount of money,” said Marc Savitt, a mortgage broker there and current president of the National Association of Mortgage Brokers. All these added expenses are slowing an already moribund real estate market. That means it’s going to take even longer to get rid of the tremendous inventory of unsold homes, according to the MBA’s Brinkman, especially in areas that were overbuilt during the boom. Cities hard hit by the housing bust, like North Las Vegas, Stockton, Calif. and Tucson, Ariz, may have to suffer through many more months of stagnant prices and increased foreclosures before they return to better times. And these higher costs are going to stick around long after housing recovers, according to Brinkman. From now on, they’ll just be the price of doing business. 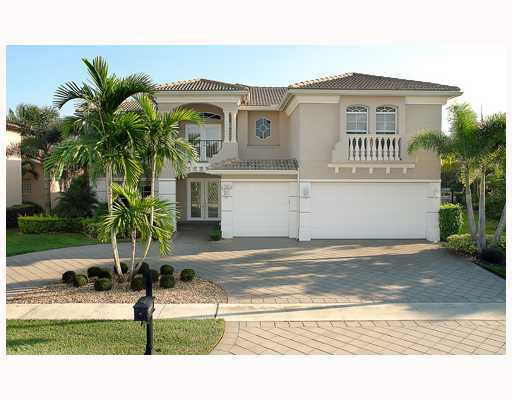 This entry was posted in Luxury Resort Portfolio Lifestyle Guide - The Art Of Living Well, Palm Beach County, real estate, The Smiths on July 21, 2008 by Luxury Resort Portfolio. So you say you’re selling your house? Hey, it could be worse. You could be selling a Hummer. If you’ve been waiting for a good offer to come through, this probably isn’t exactly big news to you: This is the worst home-selling market since Herbert Hoover was president. In much of the country, prices are already way down and probably heading even further south. Houses are sitting on the market for months longer than sellers expected. And don’t think this is just a momentary lull, a short slowdown before the market recovers and then takes off again. What you see today is the market you have, for now and, quite possibly, for a long time to come. To be sure, things are not awful everywhere. Prices in metropolitan areas bypassed by the Big Bubble — places such as Charlotte, N.C., or Rochester, N.Y. — have held relatively firm or risen modestly through the Big Bust. And in some of the worst markets, elite properties and houses in the best neighborhoods may still buck the trends. But even the perennial playgrounds of the upper crust aren’t immune. 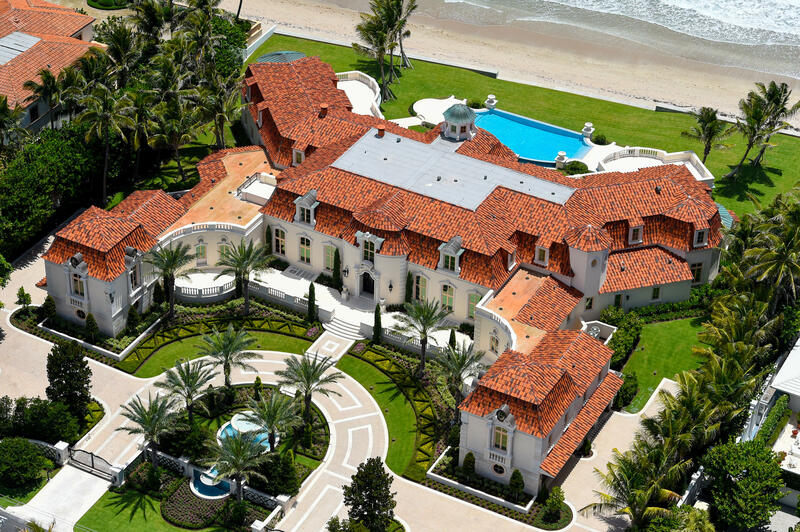 According to Zillow, a real-estate Web site, prices in Palm Beach, Fla., are down about 10% from last year. Prices are down 13% in Santa Barbara, Calif. So what’s a home seller to do? What does it take to sell a house today? If your job or life circumstances leave you no alternative other than to sell in this market, you must be prepared to go well beyond the usual feints and gimmicks if you want to get potential buyers in the front door and, ultimately, to the closing table. By all means, feng shui the living room, bury a statue of St. Joseph in the front yard and bake brownies before the open house. But if you really want to sell the place, you need to think and act like a salesperson. Most important, you must separate your emotional attachment to your family home from your financial interest in your family’s largest asset. Selling a house is business, and you must approach the sale in a businesslike manner. Even in the better housing areas, it’s taking a long time to sell houses; and in the hardest-hit metro areas, inventories of unsold homes are stretching well past 180 days. So, don’t try to sit out the market. That’s what hundreds of other timid sellers are doing, each of them hoping — somehow, some way — that hanging on the sidelines will improve prices and, ultimately improve his or her chances for selling success. It won’t. Not if you expect to sell anytime soon. If you want your place sold, the best way to make sure that happens is to put it up for sale. Obviously, you should take advantage of your local market cycles — early spring is usually better for selling in much of the country — but otherwise don’t try timing the market. You won’t have any better luck than a stock trader who’s always holding out for the market highs or lows. 2. FIX IT UP AND CLEAN IT UP. Buyers are taking your house out on a date. It has to make a good impression. As you get closer to the date that the house actually goes up for sale, start moving out by decluttering the place. No buyer wants to see a house filled to the rafters with other people’s things. They want to imagine their stuff filling the place. “Stage” the place with only enough furniture to make it look livable; put the rest in storage. Don’t fight the market by trying to price your house at bubble-era levels or by factoring in all those improvements you made. It won’t fly. Set a realistic, salable price on day one. Don’t let the house hang around on the market as you gradually lower the price. Forget what you think the house should be worth or what it was worth three years ago. That’s not what it’s worth today. Smart buyers will be looking for bargains. So you must set your price below comparable nearby properties. Look at the asking prices of neighboring houses, and set your price to beat them. If prices in your area are generally down 20% from where they were at the bubble peak in 2005, then price your house 25% to 30% below its peak bubble value. Your area down 40%? Be prepared to take just half of what the house was worth three years ago. Yes, it’s painful. But if you want to sell, you don’t have much choice. And remember: In much of the country, renting is still a better deal right now than buying. As you try to settle on a price, look at rents on comparable properties. Buyers are not likely to be counting on huge price appreciation, as they did during the bubble, so they may be less willing to take on the higher monthly costs of home buying and owning. You must set a price that makes someone’s prospective mortgage and home-owning costs look like a better deal than a month’s rent. 4. HIRE A TOP REAL-ESTATE AGENT. Get the best, most aggressive selling (listing) agent you can find. When everything was selling before it even hit the market, of course, you didn’t need the best. You just needed the cheapest. But not these days. Fortunately, in this market, real-estate brokers are even more anxious than you. They’re eager to get whatever work they can, so don’t rely on your cousin with the real-estate license or your best friend’s wife. Ask, instead, for the local real-estate office’s top salesperson. All offices have one or two sellers who greatly outperform their colleagues. That’s who you want. Sellers of higher-end properties should be able to negotiate a lower commission percentage, but this is no time to quibble over a couple of percentage points. Also, offer the agent a big bonus if he or she sells the house in 30 days or at your asking price. Offer other agents bonuses if they bring in the ultimate buyer. Don’t rely on the agent to do all the work. The agent should pay the usual marketing costs, but you should be prepared to pony up for extras, especially if you insist on more expensive or untraditional promotions. You want the house listed regularly in local newspaper classifieds and, if it’s a special, high-end property in a desirable location, in national publications, too. Make sure your house is on the leading real-estate Web sites; Trulia, Zillow, Cyberhomes, Eppraisal and Realtor.com are some of the top ones. Beyond that, get really creative. Advertise in corporate newsletters and intranet listings. Check in with local relocation firms that help transferring corporate executives find new homes. List the house on eBay. Put it on Craigslist. Put it in your church bulletin. Trophy house in an upscale neighborhood? Hire a string quartet for the open house. Something a bit more midmarket in a family-friendly subdivision? Put a clown on the corner handing out brochures. As bad as things are, there’s one big factor in your favor: the tight credit market. If you have no mortgage you have to pay off, your strongest selling point might be your ability to finance all or a substantial part of a buyer’s purchase. Worst case? Your borrower defaults and you take the property back. And sell it again. If any qualified buyer comes in with a reasonable offer, be prepared to accept it. You don’t want to lose the deal by digging in your heels over a few dollars. Every real-estate office keeps records that show the percentage difference between asking and selling prices, so it’s easy to figure what’s an appropriate offer and what’s not. Negotiate, of course, but recognize that the buyer has a lot more clout than you do. Your house, as wonderful as you think it is, is worth only as much as someone is willing to pay for it. And that, unfortunately, will probably be a lot less than you think. This entry was posted in luxury real estate, Luxury Resort Portfolio Lifestyle Guide - The Art Of Living Well, Mizner Country Club, The Smiths on July 15, 2008 by Luxury Resort Portfolio. 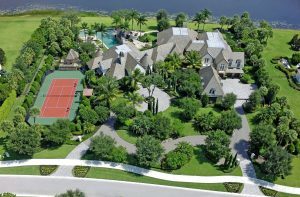 As many of America’s wealthy are roiled by the credit crisis and general financial gloom, a growing number of rich Russians are house-shopping — and buying — in costly U.S. enclaves. 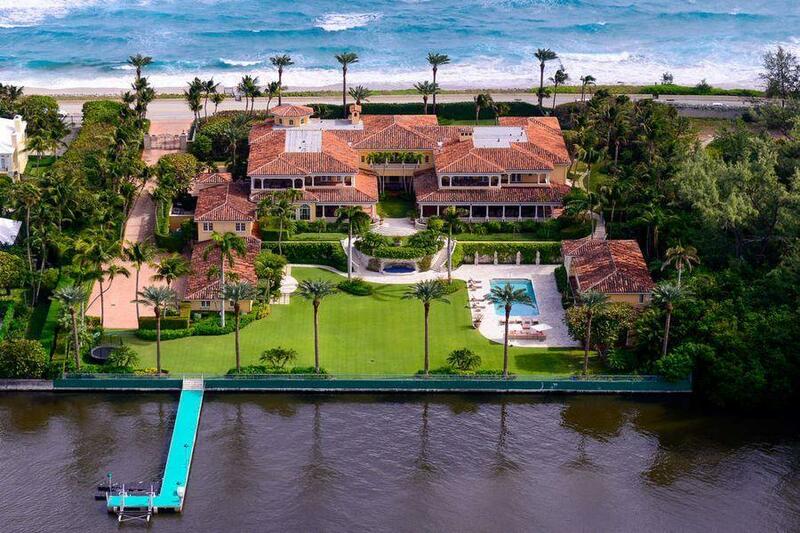 Fertilizer mogul Dmitry Rybolovlev is set to pay nearly $100 million to Donald Trump for an oceanfront mansion in Palm Beach, Fla., say people familiar with the deal reached in May. Last year, Oleg Baibakov, president of GSC City, a Moscow construction-management and consulting firm, bought a condo at Manhattan’s Time Warner Center for $13.5 million, according to public records. And in Snowmass, Colo., perhaps the most famous Russian oligarch, Roman Abramovich, paid $36.4 million in April for a 200-acre ranch. The property’s massive, split-level house is five minutes away from an $11.8 million ski-in, ski-out house that Mr. Abramovich, owner of England’s Chelsea soccer team, purchased two months earlier, records show. While the number of Russians with the means to buy trophy homes is relatively small, they represent an important but little-known demographic group for U.S. real estate. Several years ago, the weakening dollar began to draw more overseas buyers but Russians were scarce. Now, Russia’s economy is booming amid soaring energy prices. Moscow real estate is among the world’s costliest, making property elsewhere a relative bargain. In some ways, America is just the latest stop on a Russian grand tour. In London, so many Russians have bought property in one neighborhood that it has been dubbed Moscow on the Thames. Vacationing Russians for several years have frequented resorts in the south of France, such as Biarritz and Nice, where some have purchased large homes. The Miami area in particular is drawing Russians with its upscale shopping, hip nightlife and an escape from Moscow’s harsh winters. 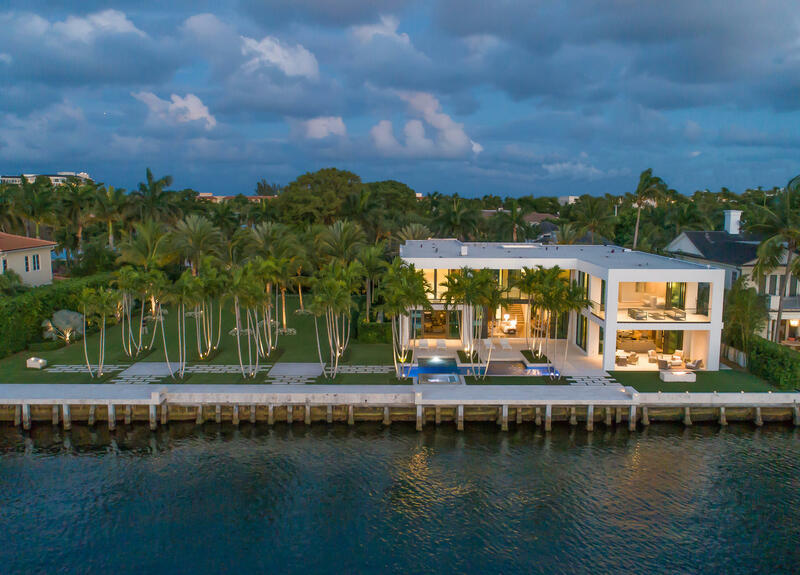 In Miami Beach, a Russian paid $10.6 million in April for an unusual white concrete house with five boat sails on its roof and two curved terraced pools, according to the seller, developer John Turchin. 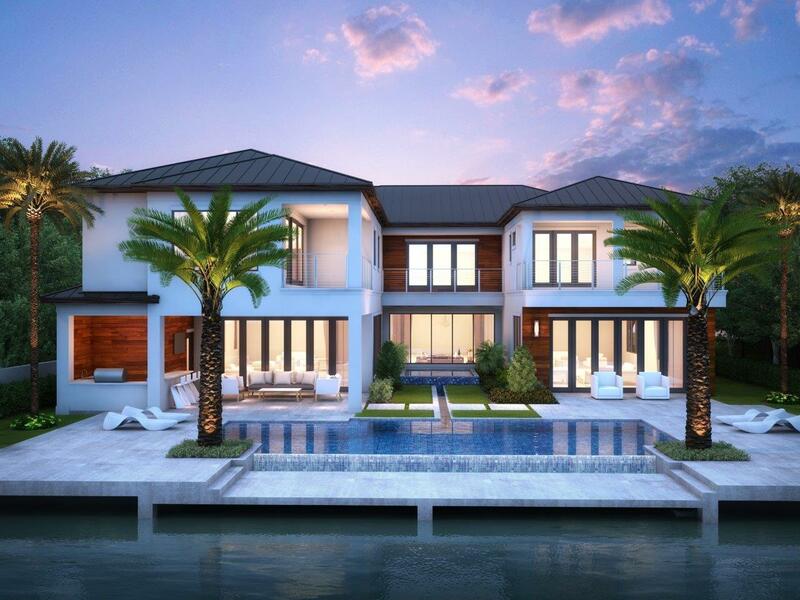 Nelson Gonzalez, a broker with Esslinger, Wooten, Maxwell Realtors in Miami, says he has shown several Russian shoppers a house on Indian Creek Island with a $35 million asking price, one of the area’s most expensive listings. In Manhattan, former Kremlin insider Boris Berezovsky bought a high-rise condo on Central Park West for $3.2 million in 2001, records show, the same year he fled Russia after clashing with then-President Vladimir Putin. A spokeswoman for Mr. Berezovsky declined to comment. Last November, Len Blavatnik, whose investments include metals, chemicals and oil, paid Seagram heir Edgar Bronfman Jr. $50 million for a townhouse off Manhattan’s Fifth Avenue, just a few blocks from a $31.25 million townhouse he bought a few years earlier, records indicate. He also owns a Fifth Avenue apartment that he bought in January 2007 for $27.5 million. A spokesman for Mr. Blavatnik, who is a longtime U.S. citizen, said the two townhouses are long-term investments. The new buyers also include other residents of the former Soviet Union. In February, Bolat Nazarbayev, an oil magnate and brother of Kazakhstan’s president, paid nearly $20 million for an apartment at the Plaza condominium, according to records. 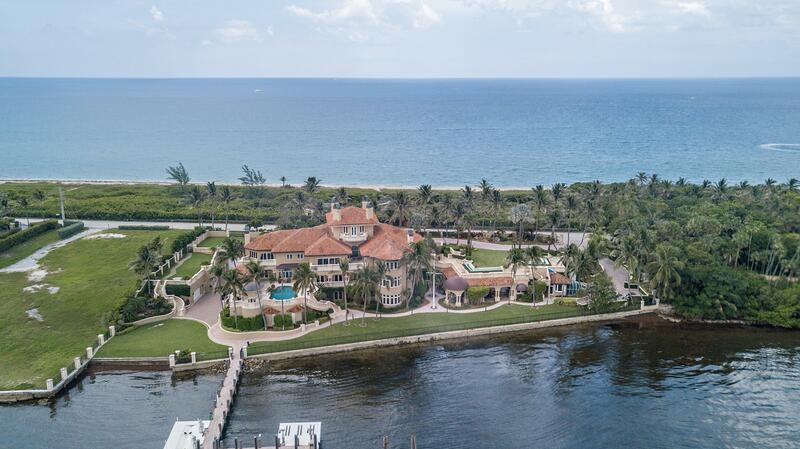 At a recent Sotheby’s International Realty conference, agents discussed Russian as well as Chinese nationals as new markets for eight-figure homes, according to Washington, D.C.-based broker Daryl Judy. Arsen Gasparyan, a Russian-speaking marketer in Miami, has teamed up with the W Residences South Beach, Regalia Miami and other Miami-area developments to advertise their properties in Russian magazines. In January, San Francisco-based brokers Misha Kurgatnikov and Victor Borelli met with a delegation of more than 100 Russia-based brokers representing wealthy Moscow clients interested in buying distressed luxury properties in California and Las Vegas. Michael Valdes, a broker with Miami-based SOL Sotheby’s International Realty who focuses on the Russian market, says he has 14 active Russian clients, ranging from a couple shopping in Palm Beach with a budget of $20 million to $30 million to a hedge fund looking to buy condos in bulk. Aqua is the first U.S. project for Mirax, which specializes in large high-rise and mixed-use developments in Moscow. It hopes eventually to be involved in developments in cities including New York, Atlanta, Chicago, Las Vegas and Aspen, Colo., says Dimitry Lutsenko, a Mirax board member, via email. Security-related requests by Russian buyers are common, including underground parking, gated entrances and video cameras. Quintessentially Estates, a real-estate concierge service in London, has satisfied some unusual requests by Russian clients, including building a hidden helipad at a residence in the south of France, constructing an underground wine cellar with a gun safe in London, and a panic room in another English house. The firm recently opened a U.S. office in response to requests from Russian clients buying in America, says Lucy Russell, the company’s managing director. 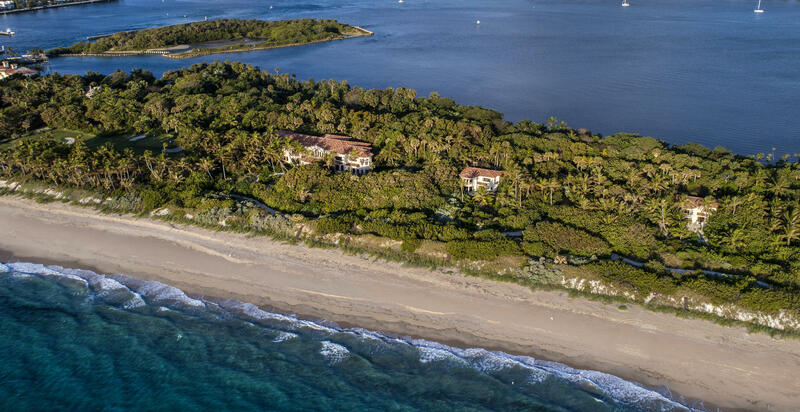 Mr. Rybolovlev, the Russian fertilizer billionaire, made headlines last month for agreeing to pay $100 million for Mr. Trump’s Palm Beach house. 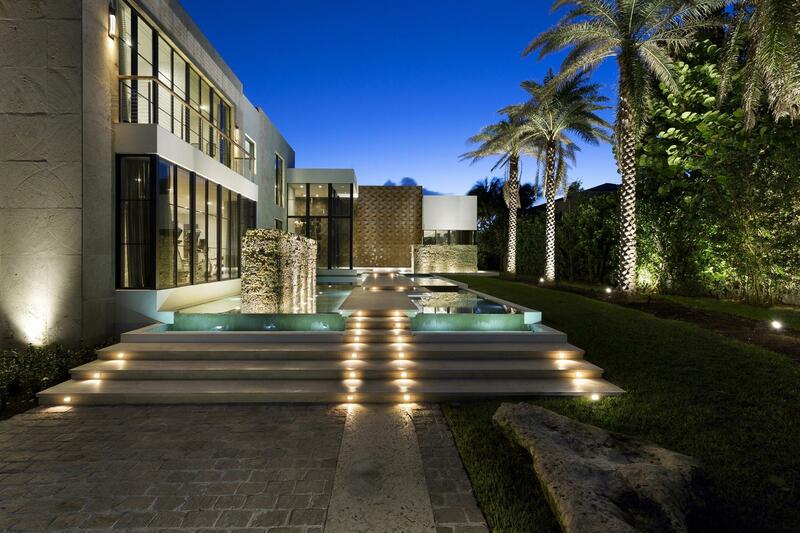 Mr. Rybolovlev first visited a lavish Palm Beach residence that wasn’t on the market but brokers said might be had for about $225 million, according to Mr. Gonzalez, the Miami broker, who showed him the house. He eventually chose Mr. Trump’s estate, which has one of largest waterfront expanses on the island, because of its land value. He plans to tear down the 33,000-square-foot house and redevelop the property, say people familiar with his thinking, which likely would set a record for the most expensive U.S. teardown. Mr. Rybolovlev, via a spokesman, confirmed last month that he agreed to purchase Mr. Trump’s house but didn’t respond to recent questions about his real-estate shopping, including whether he looked at the $225 million Palm Beach house. In some cases, nearby residents haven’t been pleased with the changes proposed by Russian buyers. In May, the Greenwich, Conn., planning board rejected a Russian couple’s preliminary proposal to build a 27,000-square-foot house on seven acres, citing safety issues related to the amount of construction required and concern that the house wouldn’t be primarily used as a residence, says the board’s chairman. The land’s owner is Olga Kogan, wife of Valery Kogan, a wealthy Russian who is chairman of East Line Group, which manages Moscow’s Domodedovo airport. Ms. Kogan paid $18.5 million for the property in 2005, records show. It came with a 19,000-square-foot house dating to 1924. Ms. Kogan’s attorney, John Tesei, didn’t return calls seeking comment. But other neighbors of Russian buyers see an upside. “What an interesting neighbor I will have,” says philanthropist Lois Pope, whose Snowmass ranch is adjacent to Mr. Abramovich’s. “I hear he’s a wonderful person,” says Ms. Pope, the widow of National Enquirer founder Generoso Pope Jr.
Ms. Pope may not be a neighbor for long: She put her property on the market about the same time as Mr. Abramovich’s purchase, asking roughly the same rich price that the Russian paid, $36 million. This entry was posted in luxury real estate, Luxury Resort Portfolio Lifestyle Guide - The Art Of Living Well, Mizner Country Club, real estate, The Smiths, wealthy on July 11, 2008 by Luxury Resort Portfolio. Does the Media Affect the Florida Housing Market? If you listen to the daily news reports, the housing market downturn seems like it has no end in sight. The real estate market like other financial markets is cyclical. Prices go up…Prices come down. However, the media storm of reporting on declining housing prices, increased foreclosures and our sinking economy has significantly affected Buyer confidence and the Buyer mentality in today’s market. Unfortunately, the real estate market when it finally rebounds does not rebound at the same speed per say as the stock market. It takes many months if not years to regain its strength, because Buyers need to hear constant affirmation that its “safe” to make the investment. Media outlets do not get on the “positive band wagon” until they have weeks and months of positive housing statistics and proof that sales are moving along in an upward trajectory. Even though real estate professionals are reporting home sales and that there are Buyers in the market ready to make the deals at fair market values, all that GREAT NEWS will not get to the Buyers for a few more months. Let me ask you; when was the last time you turned on the evening news and all the reports for that day was happy, positive and optimistic??? According to the Florida Association of Realtors there is a lot of upside to purchasing a home in Florida, the association is expressing at least 20 opportunities and positive indicators on its website. As a real estate professional the negative commentary makes your job even more difficult, because current Buyers have a heightened sense that the market is quickly declining and the attitude that they hold all the cards and all sellers are at their mercy. I came upon an article published back in May 2007 that directly addresses the issue of how media reports affect a Buyer’s purchasing habits. Please read below. Fact or fiction: The media decides whether you buy or sell a home. Sounds ridiculous, even insulting. 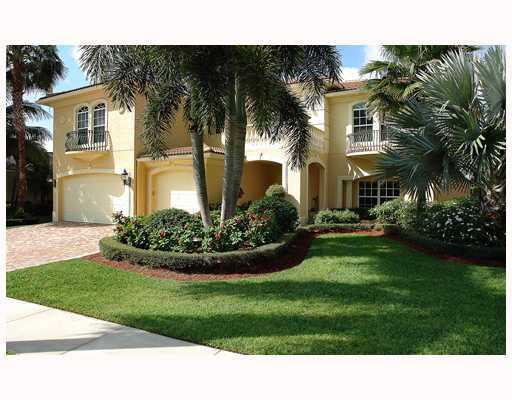 But many real estate professionals insist there is a psychological component to buying a house – and that a lot of negative publicity about the Florida housing market can have an effect on whether consumers will buy, sell or sit. Chances are when you are thinking about buying a home, factors such as your credit report, income, debt load, available houses in your market and prices are going to have more of an effect than what you read or hear. But that’s not to say the broadcast and printed word don’t make some impression. Many blame the media for the slowdown that hit the housing market in 2006. “What happened to us is the media,” says Ellen Renish, regional vice president for the National Association of Realtors. Florida mortgage seekers should investigate on their own, especially since neighborhoods and price ranges in various areas of a region, state and town can be vastly different. Meanwhile, real estate professionals say they would like to see more of the long-range perspective in real estate media coverage. Though talk of a real estate bubble “is great theater,” the fact is that most people buy a home to have a place to live, Phipps says. The price will differ according to what a buyer can afford, but that basic need is always there. Real estate professionals have also seen a wide range of interest rates in the past two or three decades. And though nobody likes to see climbing rates and the bigger Florida mortgage loan payments that result, some agents remember when rates for a typical home were in the teens. And, they also remember that lower home prices added some balance to the equation. “I sold houses when the rates were 16 [percent], 18 percent,” says Renish..
What part does the economy play? From a practical standpoint, many of the areas of the country that are seeing depressed growth or declining prices can link it to one or more of several factors: a shrinking jobs market or faltering local economy (including a higher number of foreclosures); overbuilding; or speculators who bought to make income or quick profit and dumped the properties when interest rates started to rise or prices started to decline. Mike Fratantoni, senior economist with the Mortgage Bankers Association, agrees that jobs are the No. 1 factor when it comes to the health of the home market. “Absolutely, the job market is most important,” Fratantoni says. “And we think that the Fed’s successive rate increases have not quite worked their way through the economy yet. We do anticipate that as these work into the economy, we will see some slight increase in unemployment,” likely by the middle of 2007. And while the media likely has “some psychological aspect” for the buyer and seller, says Fratantoni, “at the end of the day it’s the fundamentals” like affordability, a strong job market and income growth that signal buyers that “it’s a good time to get in,” he says. 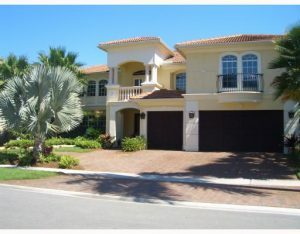 This entry was posted in luxury real estate, Luxury Resort Portfolio Lifestyle Guide - The Art Of Living Well, real estate, The Smiths on July 7, 2008 by Luxury Resort Portfolio. Welcome Back! We wish everyone a wonderful and relaxing holiday weekend. Since we would like to enjoy our day as well, here is a quick review for the week. 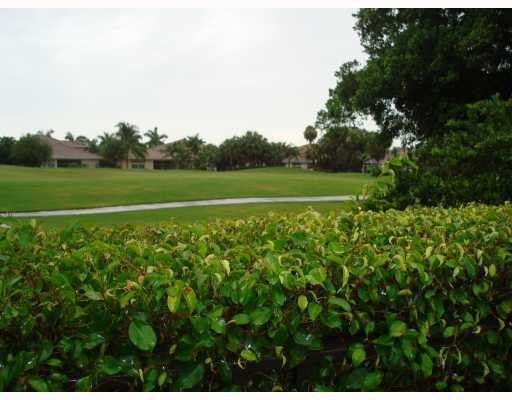 Mizner Country Club as of today has (62) Active Listings, (2) Pending, and (9) Total Solds for the year. One (1) new listing also came on this week. Lets Begin! This entry was posted in Country Clubs, delray beach, Luxury, luxury real estate, Luxury Resort Portfolio Lifestyle Guide - The Art Of Living Well, Mizner Country Club, The Smiths on July 4, 2008 by Luxury Resort Portfolio.